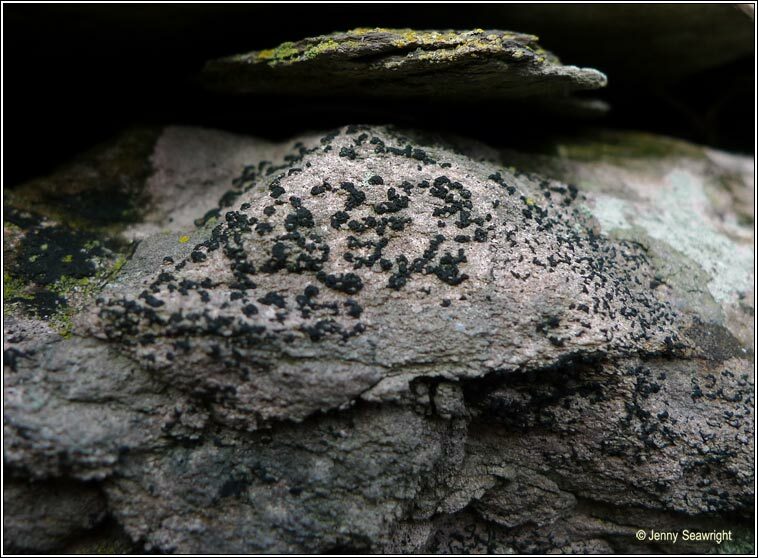 Opegrapha calcarea includes O.conferta, O.chevallieri, O.saxatalis and other former species. Variable. 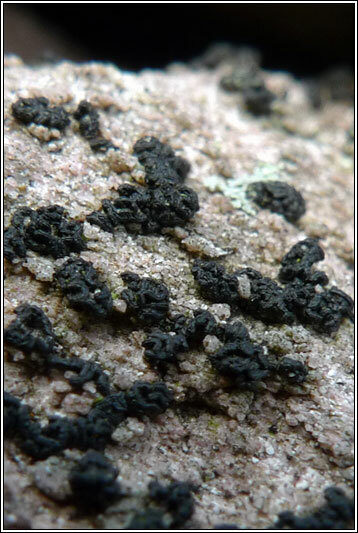 Thin or immersed thallus with black, unbranched lirellae to 1.2mm. Lirellae can be star-shaped, slit-like or form piled heaps. Asci are 8-spored, spores 3-septate, 16-20 x 4-5(-6.5) µm. Microscope photograph below. 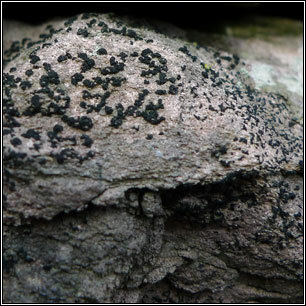 Occurs on shaded calcareous or basic rocks and on man-made substrates. 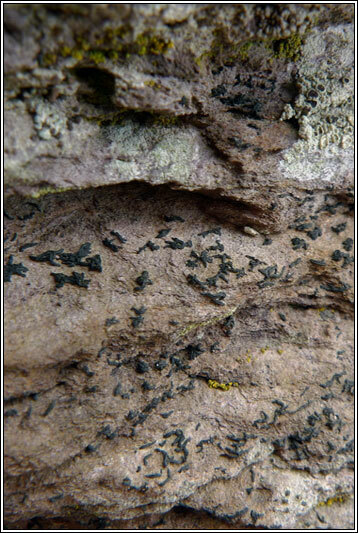 Also found on shaded basic to acidic coastal rocks. Similar: Opegrapha cesareensis. 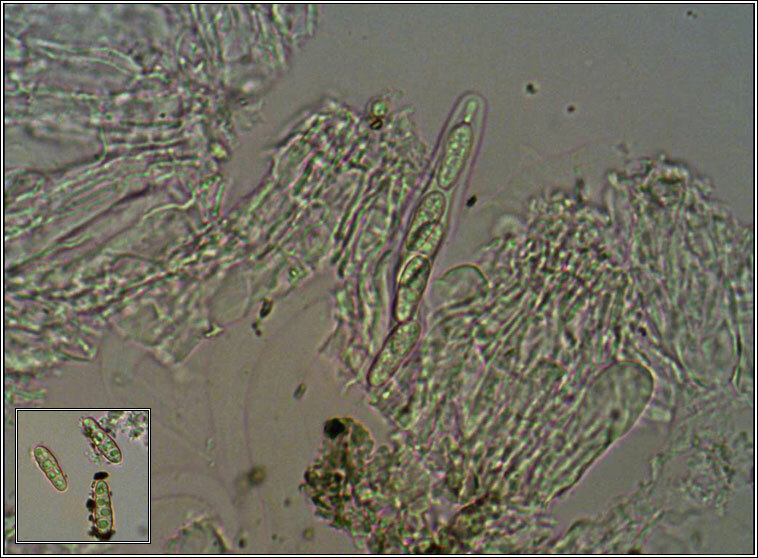 Lirellae to 2mm, spores 4-5 septate, 15-22 x 4-5 µm.